Is There Such a Thing As Normal When it Comes to Troubled Boys? When parents are experiencing issues with their sons, it’s easy for them to wonder if there’s such a thing as “normal” when it comes to their troubled boys. Normal can mean different things for different teens and their families, but it is very clear that there are some behaviors that certainly can be considered abnormal. If you are concerned that your son falls into this category, it is important to seek help for them. The longer problems persist, the worse they tend to become, so it is never too early to reach out. If you’re the parent of a troubled boy and you are worried that his behavior is abnormal, the right treatment facility can turn him around and give him a fresh start. Liahona Academy is dedicated to helping young men with their mental and behavioral health problems, so if you are interested in how we can help your child, please call us today at 1-800-675-8101. It can be fairly normal for teens to go through a phase where they act a little rebellious or have a negative attitude. If your teen seems a little moody occasionally, or tries to push your boundaries, it is usually nothing to worry about excessively. However, if they persist, or if your son starts exhibiting worse actions, it should never be considered normal. Some examples would include heavy drinking or drug use, stealing, bullying, starting to become friends with a negative crowd, or excessively skipping class and getting worse grades. These actions are never to be taken lightly, because they can be very damaging to adolescents, and can even get them in legal trouble. Additionally, left unaddressed, the problem only gets worse. If your child is taking part in any of these actions, the right kind of treatment can properly reform them. 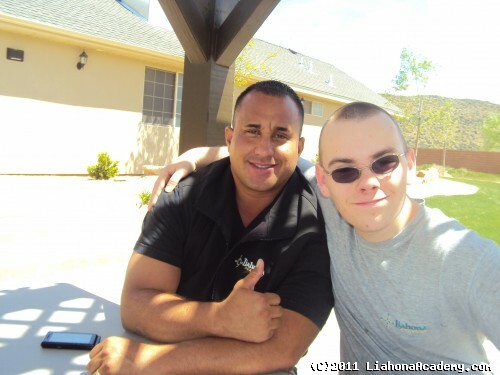 Liahona Academy specializes in assisting boys who are struggling with the issues discussed above. Our one-of-a-kind program ensures life-altering change is achieved quickly and effectively. If you have any questions or would like to enroll your son today, please contact us at 1-800-675-8101.